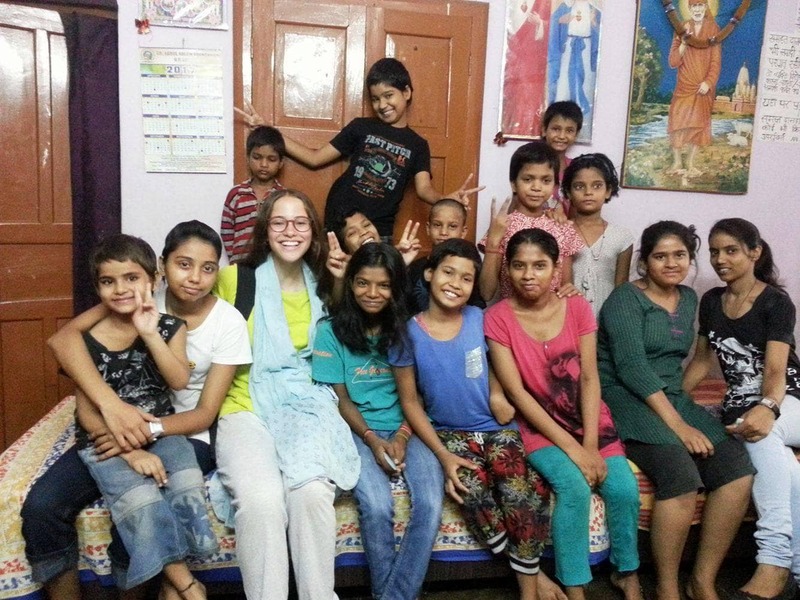 What I realised about my internship at Project KHEL was that it wasn’t about hearing things, but about doing them. Of course, we did hear a lot about the programmes they conduct and certain experiences but then they would send us out and make us do and be a part of everything we heard about. This experience was one of them. I had already been engaging with two of the girls from a shelter home that Project KHEL works in and as a result, we had formed a friendly bond. The other interns and I, had been helping them improve their English, as well as prepare them for a MUN in Lucknow, which they participated in. When we were told that I would be going back with them to spend the night at their shelter home, I felt something rather difficult to explain. I knew that I was excited to get an insight into the lives of these girls but at the same time I felt a sense of ambivalence. This was probably because I had made several visits to a Government shelter home where many of the girls experience unpleasant situations. I felt as though the caretakers looked at them as if they were worthless and the girls were not even given the opportunity to really prove themselves. There were multiple disturbing moments where I saw this that has led me to feel this way and lose a little faith in the Government. So, when I thought of what the night stay at the shelter home would be like, I blindly associated this experience with it and that’s what caused the ambivalence. However, I can proudly say that my entire perception was extremely incorrect and there was a stark difference between the two. From the moment we walked up the stairs to enter the shelter home, a huge sense of welcoming filled the air. All the girls had broad grins plastered on their faces and there were cries of “Hello Didi, Namaste!”. As the night progressed, I felt something absolutely beautiful. Something I didn’t think was possible in such little time. I felt a part of their entire process and routine. We helped serve dinner together, washed the plates together, switched channels in the search for something interesting on T.V. together and stayed up late chatting together. As it was approaching the younger children’s bedtime, I went into their room to spend some time with them. They immediately gathered themselves on the single bed that I was sitting on and started teaching me their favourite games that all involved an abundance of hand clapping, as we sang multiple popular Bollywood songs. By 10:45 PM, everyone had fallen asleep except the girl I was interacting through my internship and I. The story behind the main reason we started talking is rather amusing. I, unfortunately, have the inability to eat or drink something that is “jhutha” (already eaten by someone). We were in the office when somebody offered us some sweet that everyone had been sharing, I politely denied the offer, as I normally do due to this reason. She immediately did the same and then asked me whether I didn’t like sweets. I explained my reason to her, to which she exclaimed: “Yes, me too!!”. We laughed and that is sort of where the friendship began. Our regular conversations usually revolved around what was happening at that moment, or something in the newspaper during our MUN preparation sessions. But that night was entirely different as we interacted at a more personal level. What amazed me was that she took everything she had gone through as a reason to push herself further and strive towards achieving her dreams. After the entire conversation, she looked up at me and said ‘Zia, I have never shared this much with anyone. Everyone I have loved, I have lost and I guess that has made me stronger. Thank you for listening”. I can still feel the impact that those words had on me and what I learnt from her story is something that I will remember forever.